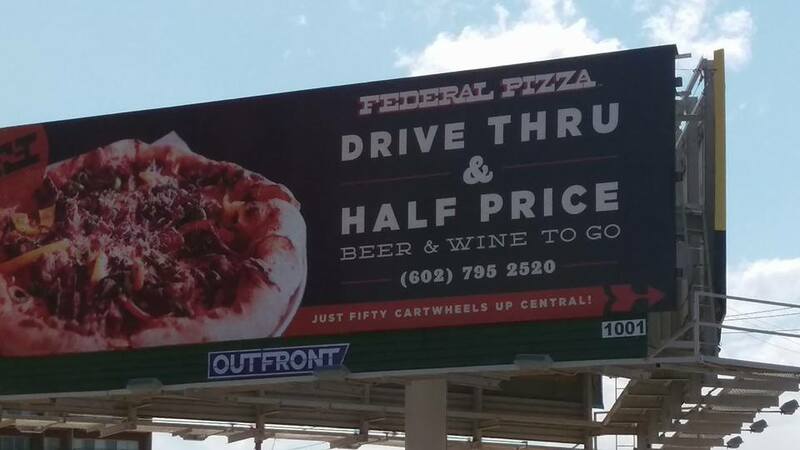 When a billboard went up saying it took only 50 cartwheels to get to their restaurant from a major intersection, it was a statement that needed to be tested! 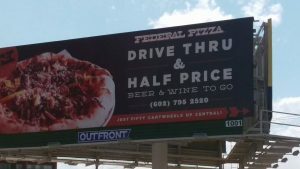 Federal Pizza’s billboard is at Central and Camelback; the restaurant is four blocks away at Central and Oregon. Would fifty cartwheels cover the distance? We had to find out! 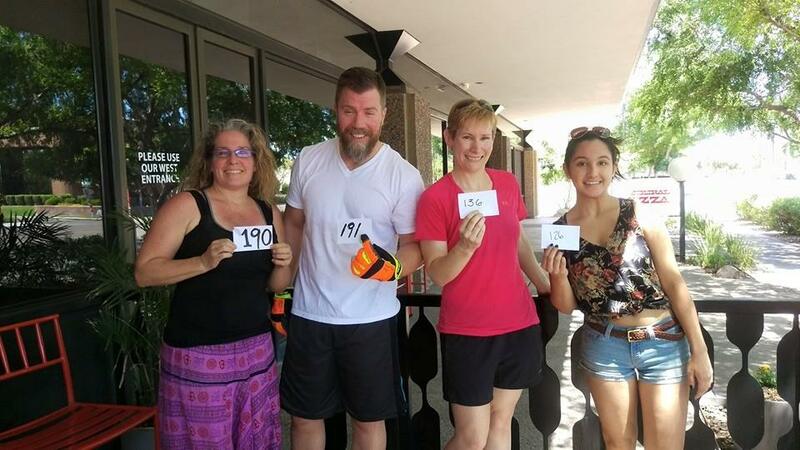 So on Sunday, May 3, 2015, a small but determined group teamed up with Improv AZ to cartwheel to Federal Pizza. We gathered at the base of the billboard and made the end-over-end journey to the restaurant. Four cartwheelers completed the trek along with four supports who cheered us on, laughed at us, and carried our phones. Let me tell you – turning cartwheels for four blocks makes you dizzy. And it’s not always pretty. And the people at Postino look at you funny through the window. We determined early on that that statement about 50 cartwheels is hogwash. According to data gathered by our slightly wobbly group, it takes an average of 161 cartwheels to get there. By the time we reached the restaurant, we were sweaty, tired, and glad that the world had finally stopped spinning. Thank you to everyone who came out and made this such a fun event and a very special thank you to Federal Pizza for feeding us delicious pizza and inspiring this stunt. 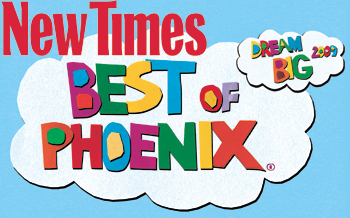 If you want to stay in the loop on Improv AZ’s shenanigans, please subscribe to our mailing list, like us on Facebook, and follow us on Twitter. Be sure to subscribe to our YouTube channel too where you can see some of our past events.